Ward & Burke was formed in 2001 and is now established as one of Ireland’s principal Civil & MEICA Engineering Contractors. Our company specialises in the design, manufacture, supply, installation, commissioning, operation and maintenance of water and wastewater infrastructure with all associated mechanical & electrical, civil, and, environmental, activities in Ireland and the UK. 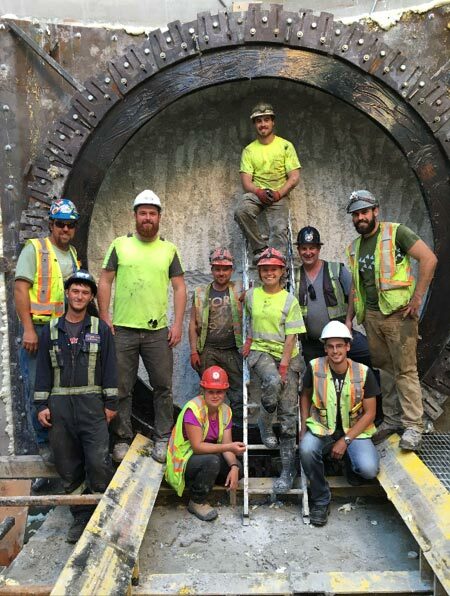 Within Canada and the USA, the company focuses on the design and construction of microtunnelling (up to 3000mm diameter), shafts and caissons, for the utilities sector. Ward & Burke’s portfolio also encompasses bridge and road infrastructure projects incorporating construction and rehabilitation works. Ward & Burkes Head Office is located in Kilcolgan, County Galway, Ireland. The main UK office is in Bourne End, Buckinghamshire. Our Canadian office is situated in Mississauga, Ontario, and our USA office is in Columbus, Ohio. We have several regional offices, in addition to plant yards, in each jurisdiction which facilitates our ability to service a widespread area. The strength of Ward & Burke resides in its people. We understand that our success is because of the skill and competence of our workforce. We continue to invest in professional development and training of our staff and promote the use of new technologies and innovation in our systems of work. Dedicated and committed employees, coupled with the continuous improvement of knowledge provided to them, positive energy and mutual respect, has helped us form long lasting relationships with clients, design teams, and suppliers. Ward & Burke is certified to OHSAS ISO18001:2007 for Safety Management, ISO9001:2015 for Quality Management and ISO14001:2015 for Environmental Management. Innovative ideas and solutions, along with the experience to perform turnkey operations, have become the principles of our business. 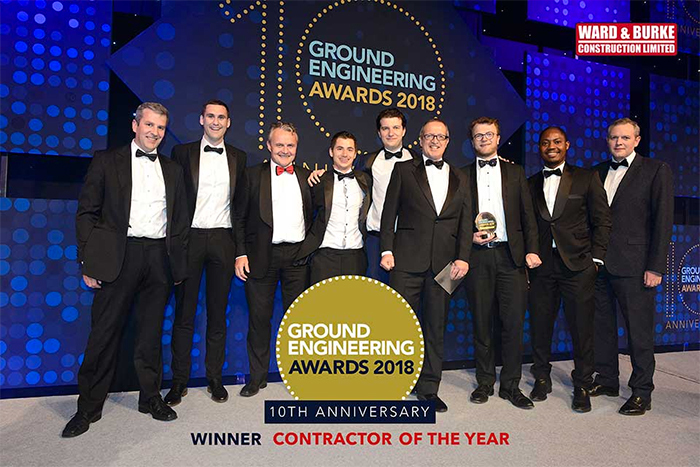 The success of Ward & Burke lies in its ability to provide a complete in-house solution to civil and MEICA engineering construction endeavours. Our company brings a unique and innovative approach to construction which sets us apart from other engineering contractors. We provide a full range of temporary / permanent works and construction engineering services across multiple sectors, focusing on the development of safe, considered and innovative solutions to the most challenging problems encountered in the construction of projects. Our team pride themselves on working seamlessly with all project stakeholders, ensuring no solution is developed in isolation and without consideration of the potential implications on other areas of the project. This, combined with an extensive and wholly owned plant division, ensures direct control, greater flexibility, and above all improved quality and safety of construction projects. Whatever the project undertaken, we apply our insight, innovation, professionalism and personal hands-on attention to every aspect of the project – from its inception to its successful completion.